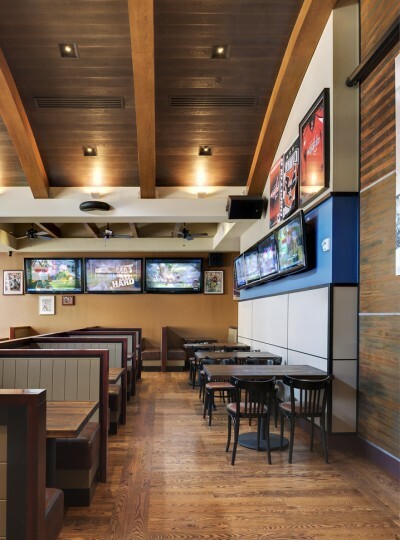 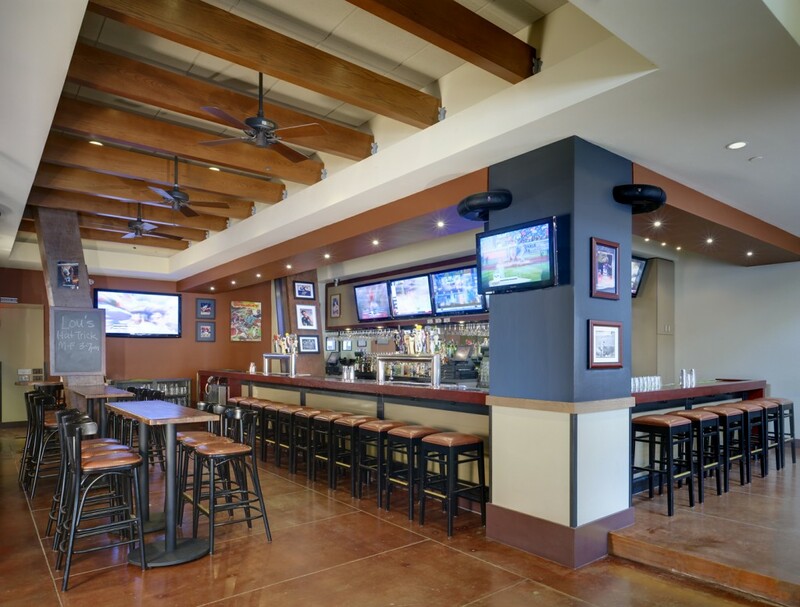 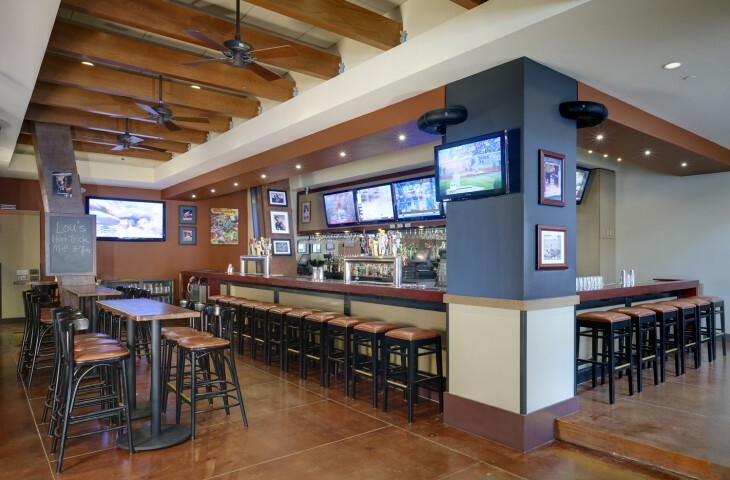 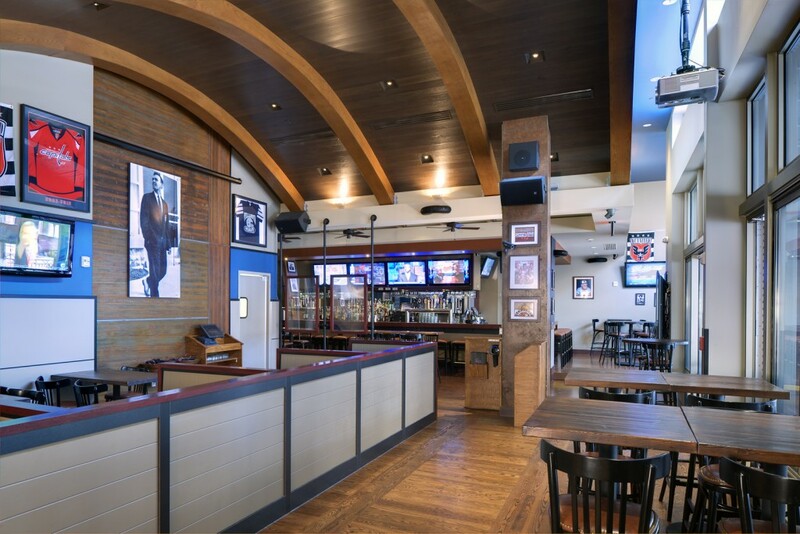 The locally-owned, 3,750-square-foot Lou’s City Bar accommodates both the daily dining crowd and large groups for sporting event viewing. 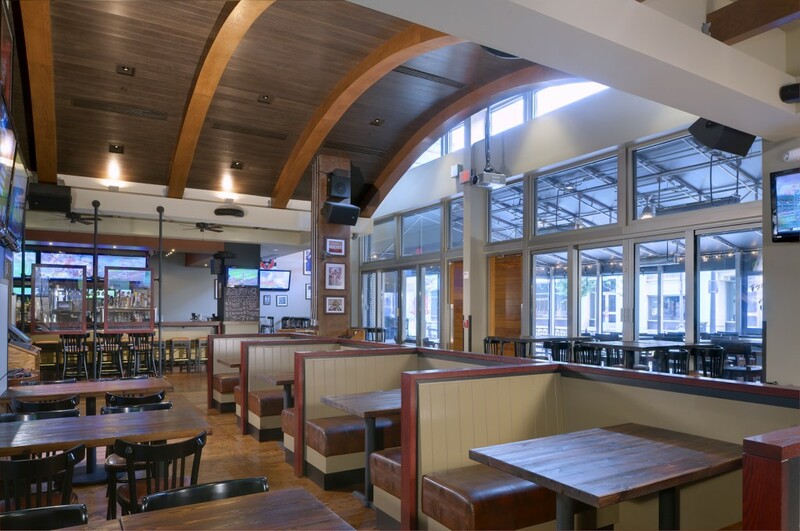 GTM Architects designed various dining and acoustical areas within the restaurant and a 15-seat bar with indoor and outdoor seating. 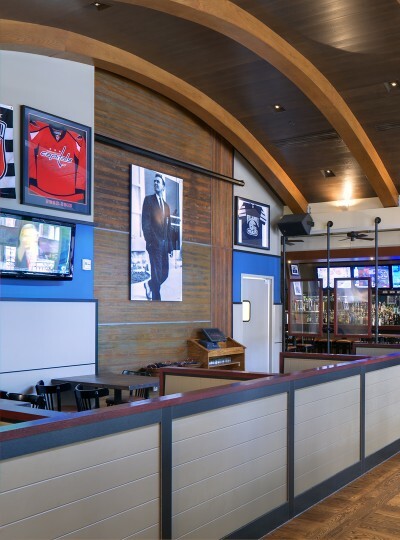 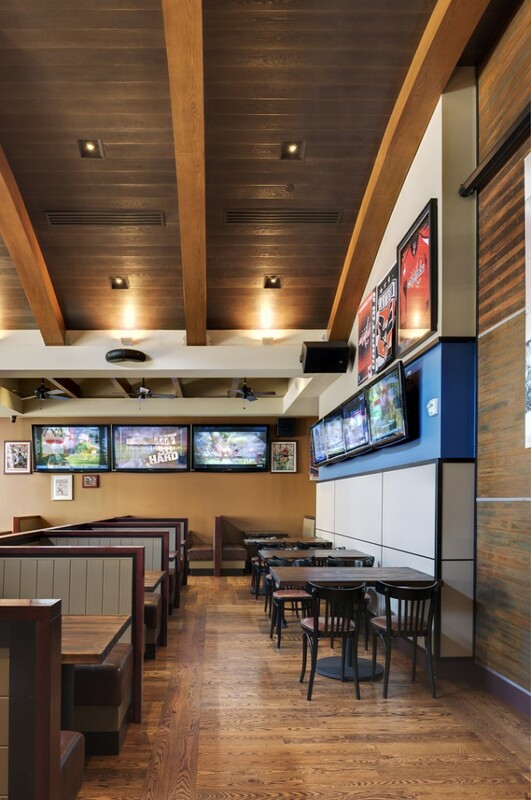 The restaurant and bar features a vaulted wood ceiling, 24 beer taps, 23 televisions, and a special event projection TV, as well as a covered and heated patio.